Great promotions and loyalty rewards. Give it a try! For those who prefer to stick with Australian bookmakers, UBET fits the bill. 100% Aussie owned, UBET was formed by TattsBet in 2015 and it has quickly become one of the country’s leading betting agencies. Our in depth review will look at all aspects of the online offering from UBET, including the quality of odds, range of sports and lots more. So, if you are considering becoming a UBET customer then you will find all the information you need below. Competitive odds for racing and sports and 100% Aussie owned. All racing on Sky 1 and 2 can be streamed via UBET Race Vision. Not as many markets on sports as some industry rivals. UBET itself is a relatively new company, formed in 2015. However, their history goes back a lot further than that and its beginnings can be traced all the way back to Sydney in 1881. UBET is owned by the Tatts Group, the company that owns the state-wide TAB in QLD, SA, TAS and the Northern Territory. It holds licences in all those territories too. UBET was formed by TattsBet after they merged and acquired a number of betting companies. UniTab and TattsBet merged in 2006 and Tasmania Tab was acquired in 2011. All of these companies were rebranded as UBET in 2015 and the current CEO is Robbie Cooke. UBET is as Australian as koala bears and kangaroos, so if you are a patriotic punter UBET could be the perfect bookie for you. So, you have pored through the form and the stats and you reckon that bet you just placed is a certainty. Well, with the UBET Betshare feature you can tip your friends off about your upcoming windfall. Just place your bet, hit the ‘Share’ button on the bet slip and you can notify your mates about your wager via social media or SMS. This is a cool feature and it really adds to the betting experience. Everybody loves a multi, and with UBET placing these popular bets is easier than ever on their mobile app. This useful tool allows you to build your own sport multis at rapid speed! 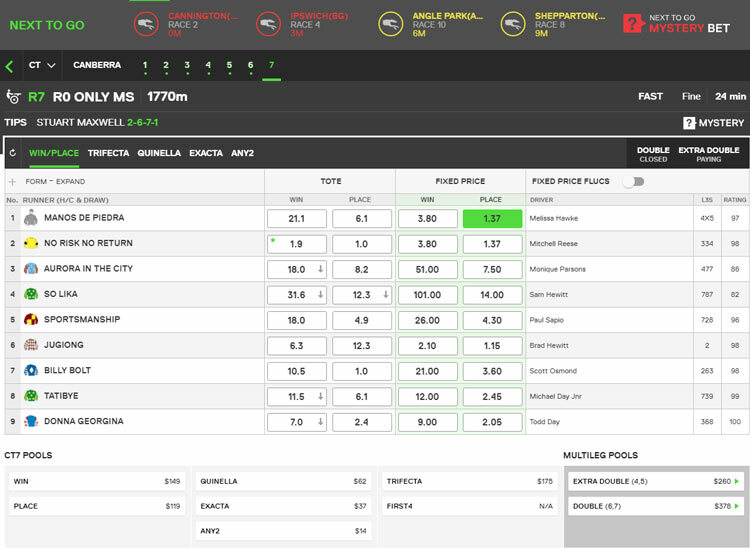 Just select a sport and tap the market you want to place a bet on to generate a list of legs and prices. You can switch between sports to add more legs (up to 10) from different events. Once you’ve got your multi just the way you like it, hit ‘Add to Bet Slip’ and then place your bet. UBET members have access to the opinions of some of Australia’s shrewdest punters and tipsters. Every day, UBET provide expert tips for selected race meetings across the country compiled by respected form analysts. UBET’s free racing tips are provided by experts like David Gately, Kevin Casey, Ian Humphries, Brendan Tupper, Joel Marshall, John Barker, Carl Di Lorio, Julie Rowland, Andrew Hannan, Chris Nelson and Paul Richards. If you struggle to pick winners yourself, UBET’s free horse racing tips could be just what you need to turn a profit. Just like with racing, UBET customers can also check out what two of Australia’s sharpest sporting brains think about all the biggest upcoming sporting events. Gerard Daffy and Nick Curry share their thoughts on all sorts of sports, including cricket, golf, AFL, NRL, soccer and lots more. 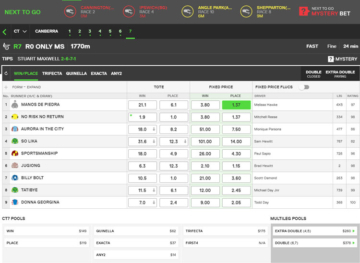 This is a brilliant resource for punters and another reason why UBET is well worth checking out. Due to regulations UBET are unable to offer live betting via their website or mobile apps. However, they still display in running prices across a wide range of sporting events and you can get your bet on by picking up the phone and calling 138 238. Check out our step by step guide on how to bet in play with UBET. Open an account with UBET by clicking here. Find the relevant event and the odds you want to take. Call 138 238 to place your bet. Not many Australian betting companies offer live streaming of horse racing but UBET are one of the exceptions. With UBET Race Vision you can watch every single race covered on Sky Racing (Sky 1 or Sky 2). This includes both domestic and international races, on the desktop site AND mobile apps. So, if you love your horses and you never want to miss a race, then UBET could be the perfect choice for you. To find out how to get UBET Race Vision just read our guide below. Simply head to UBET Race Vision on the website. If a login prompt appears, enter your UBET account details to continue. Choose your channel, sit back and enjoy live racing action. Tap either SKY1 or SKY2 to start streaming. Watch live racing on the go!! How Good Are UBET Odds? When it comes to value, UBET measures up pretty well against the majority of their market rivals. The depth of markets available is somewhat lacking for sports, but as we will discuss later their horse racing offering is top class. To illustrate the difference in the range of markets offered, we looked at the upcoming A-League soccer fixture between Adelaide Utd and Central Coast. UBET had a total of 38 markets available, whereas Ladbrokes Australia had 147. That is a significant difference and something to think about if you bet on sports. However, while UBET may not offer the most markets, the generosity of their prices more than makes up for that shortcoming. For the above mentioned match we looked at the odds on offer from UBET and compared them with the prices available with CrownBet. The difference was staggering. UBET had an over round of 106.7%, whereas for CrownBet it was 109.2%. That is a massive discrepancy and it shows that if you are seeking value, you will find it with UBET. In this day and age the ability to bet on the move is important, and with UBET you can do just that on a variety of devices. If you love your Apple devices like iPads or iPhones or iPod Touches, or if you prefer to play using an Android device, then UBET has you covered. The UBET Mobile App is very well designed, works smoothly and it is easy to navigate. You can use either fingerprint ID or a PIN code to keep your account secure. Best of all, you can watch live racing for free via UBET Race vision, and you can also listen to live race commentaries with RadioTab. Open a UBET account by clicking here. Place a bet on a qualifying sporting event (single or multis). Any Bet placed pre-live can be Cashed Out online except for bets placed Live over the phone. * All cash out requests are subject to UBET’s terms and conditions. The feather in UBET’s cap is the superb horse and greyhound racing betting service they provide. Horse racing is one of Australia’s favourite sports and one of the biggest days in the calendar is Melbourne Cup day. You can get your bet on the race that stops a nation well in advance with UBET. They also offer early prices on all of the biggest domestic and international racing events. With UBET, punters have the option of betting either on fixed odds or through the tote. All of the usual bet types are available, including win/place/each way, trifectas, quinellas, First 4, Any 2, exactas and quaddies. Other betting options include Tote All Up wagers, and double trios. For those who struggle to pick out horses themselves, the ‘Mystery Bet Option’ will pick them for you. As we outlined earlier, you can also watch a host of domestic and international racing action live on your desktop or mobile device with UBET Race Vision. UBET members can also listen to live race commentary and analysis on TabRadio. Overall, when it comes to betting on horse racing, UBET is one of the industry’s front runners. Instant Deposit/Withdrawal Methods: Credit/Debit Card*, UBET Retail Outlets. Non-Instant Deposit /Withdrawal Methods: BPAY, Bank Transfer. When it comes to finding the best bookie for you, the range of banking facilities available for depositing and withdrawing cash should always be at the forefront of your thoughts. Sadly, UBET don’t have quite as many options as some of their market rivals. You can top up your account electronically via debit/credit card*, BPAY or Direct Deposit with your own bank. Or, if you prefer, you can deposit funds in any UBET Retail Outlet in Queensland, South Australia, Tasmania or the Northern Territory. 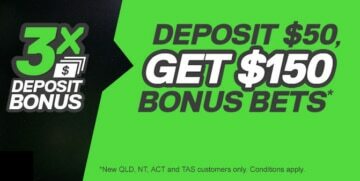 *Credit card deposit limits apply see UBET terms and conditions for details. Open a UBET account by clicking this link. Click on the ‘Verify Account’ message once logged on. To verify your identity you'll need to match your details against 2-4 different ID sources. These include Passport, Driving Licence, Electoral Register or Australian visa. If your details check out, your UBET account will be fully verified and activated. Here at Aussie Bet we think that providing quality customer service should be an absolute given for any betting agency that wants to be taken seriously. UBET’s customer service stands up to scrutiny and unlike a lot of their competitors you can get in touch via phone 24 hours a day 7 days a week. You can also contact UBET via email or post and all the relevant UBET contact details are listed below. Telephone: 1800 823 888 (free and available 24 hours/7 days). Post: UBET, PO BOX 248, Albion, QLD, 4010. Is UBET A Bookmaker You Can Trust? UBET vows to protect the personal information it holds from misuse and loss. UBET uses the very latest SSL encryption mechanisms on their desktop and mobile apps. This ensures that your personal information is kept safe from potential fraudsters. Here at Aussiebet we are big advocates of responsible gambling and we are glad to report that UBET have the same mindset. As they say themselves: “UBET believes that the provision of responsible gambling programs is of the utmost importance. UBET is committed to making gambling a fun and enjoyable experience while ensuring that those customers experiencing a problem with gambling are protected.” Below are some of the tools available to ensure that you enjoy your betting responsibly. Deposit limits – for control over how much you spend with pre-committed limits. Bet limits-control how much you can wager on a single bet. Self-exclusion: If you feel the enjoyment is gone from gambling you can self exclude with UBET. UBET: Leading The Pack When It Comes To Horse Racing! As can be seen from the above, UBET has lots of strengths and just a few weaknesses. One area they could possibly improve on is the depth of markets available on their sports markets. The relative lack of banking options in comparison to their industry rivals is another weak spot. However, the positives far outweigh the negatives with UBET. Some of the best things about UBET include their generous odds and their smooth running mobile apps. The longer your stay, the more you'll enjoy the “other” side this bookie. 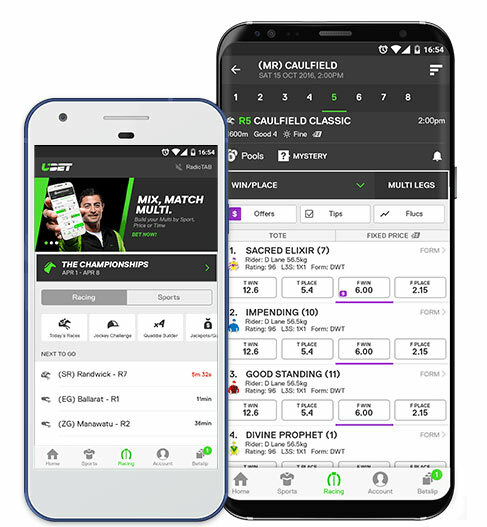 One of the features that helps UBET to stand out from the crowd is the ability to stream live horse racing on their desktop site AND mobile apps with the Race Vision Feature. Overall, we think UBET is a bookmaker that is well worth checking out, especially for those who are serious about their horse racing betting.